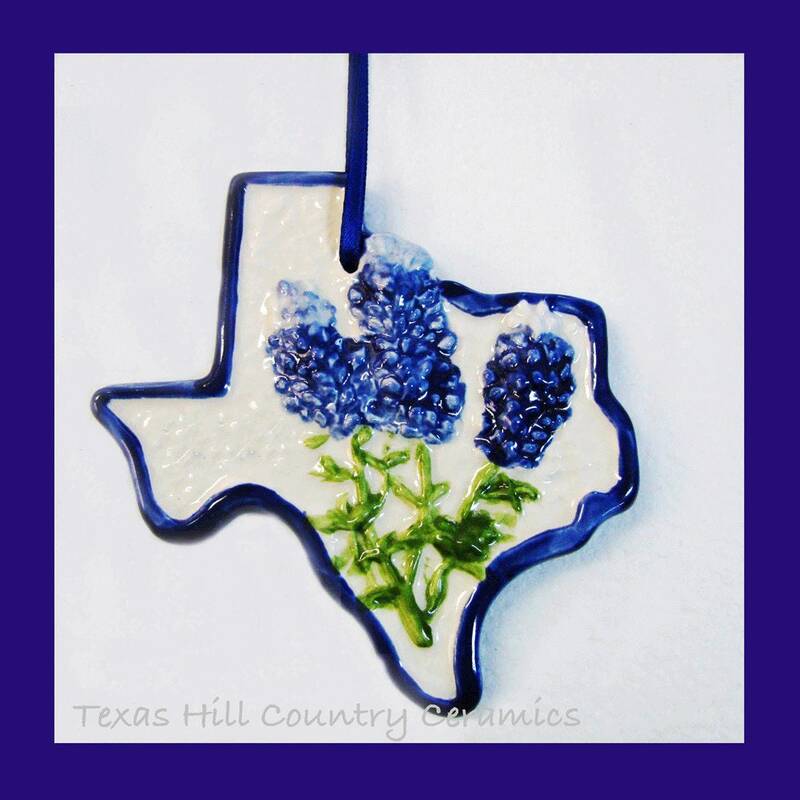 This Texas State Shaped Ornament with hand painted Texas Bluebonnet Wildflowers is very popular and truly made in Texas, USA. This Texas state ornament is hand made of ceramic earthenware clay, each ornament is hand pressed and kiln fired. The bluebonnet wildflower blooms are embossed or raised, all detail is hand painted so the flower comes to life. 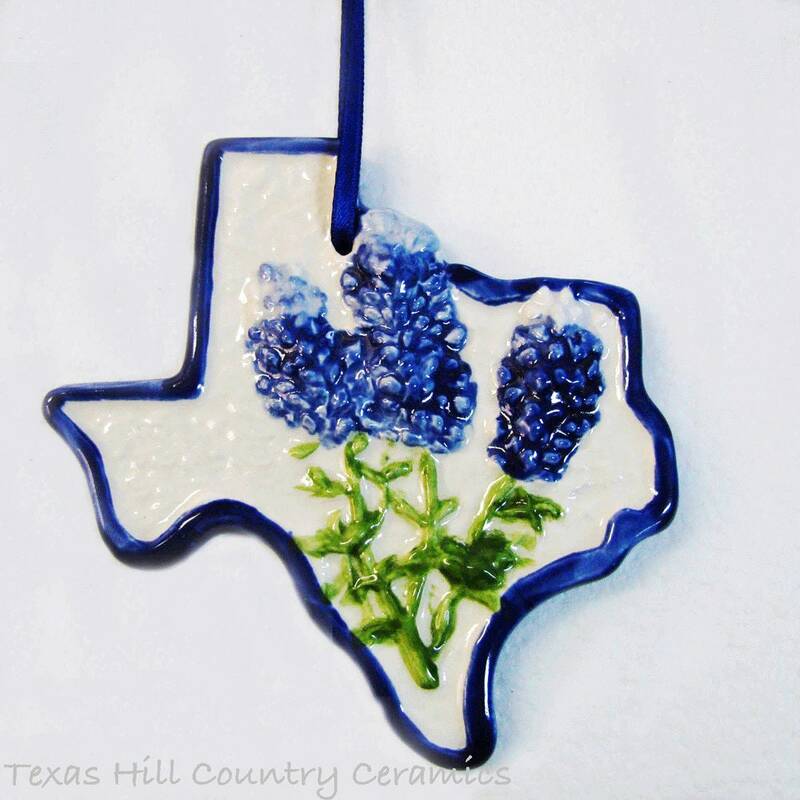 The outer edge of the state is highlighted in bluebonnet blue, the back side of the ornament is flat and in the same bluebonnet blue. The entire ornament is kiln fired a second time to mature the glaze. This ornament is an authentic Texas treasure hand made by Texas Ceramics. Vibrant colors. Beautiful topcoat makes it shine. Bigger than I thought which was a nice surprise. Shipping was as promised. Packed well enough to insure no damage. I bought this as a gift for my granddaughter to hang on her wall -- she loves it!